Duality in Egyptian Art. Duality as a Conception of Egypt. The idea of duality referred to good and evil confronted and linked. And it also meant two halves, which formed a unity. Egypt itself evoked also that idea of duality, because the country was formed by two parts: Upper Egypt and Lower Egypt. For that reason, the ancient Egyptians referred to it as “Double Country”. Scholars have always considered that the idea of the Double Country had a historical origin; concretely in the unification of two lands carried out by King Narmer. However, nowadays scholars consider that the duality of kingship in Ancient Egypt was conceptual. Because in the figure of the sovereign are condensed the two parts of a uniqueness that is Egypt. The “Union of the Two Lands” in ancient Egyptian Iconography. This duality of the country gave rise to a very common iconographic motif in the artistic production of ancient Egypt: “The Union of the Two Lands”. The two heraldic plants of Egypt were the lotus and the papyrus; they symbolized the Upper and Lower Egypt respectively. Therefore, they together were the Two Lands, that is, the Double Country. Egyptian Art introduced in its iconography this conception of duality of Egypt: lotus and papyrus plants intertwined around the trachea and the lungs. This hieroglyph in ancient Egyptian meant, “to unite” and its reading was “sema”. The Two Lands (lotus and papyrus) was in ancient Egyptian “tauy”. Hence, this icon received the name of sema-tauy, literally “the union of the Double Country”. 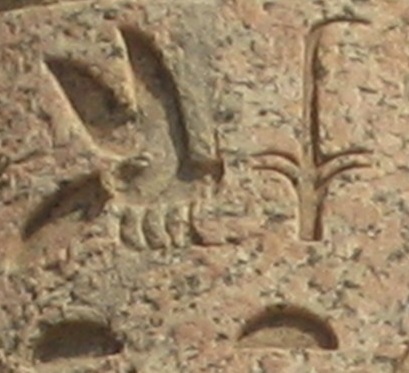 The sema-tauy is usually depicted on the sides of the throne on which the pharaoh sits. This indicates that the sovereign is the holder of power over that union, that is, over Egypt. In addition, he is the maximum (not to say unique) responsible of its stability. The maintenance of social order, harmony and equilibrium in Egyptian thought, never disappeared. It was a social necessity and social needs determine styles in art. This permanent will to maintain universal balance was reflected in Egyptian art in terms of uniformity. The social needs in Egypt did not change, so the uniformity of style in Egyptian art was constant. If the artistic forms are very similar in all periods of Egyptian history is because the spiritual and cultural values ​​remained essentially unchanged, governed by the principles of balance, repetition and duality. Duality in Egyptian Art. Duality in Egyptian Landscape. The Egyptian Artist, the Master.